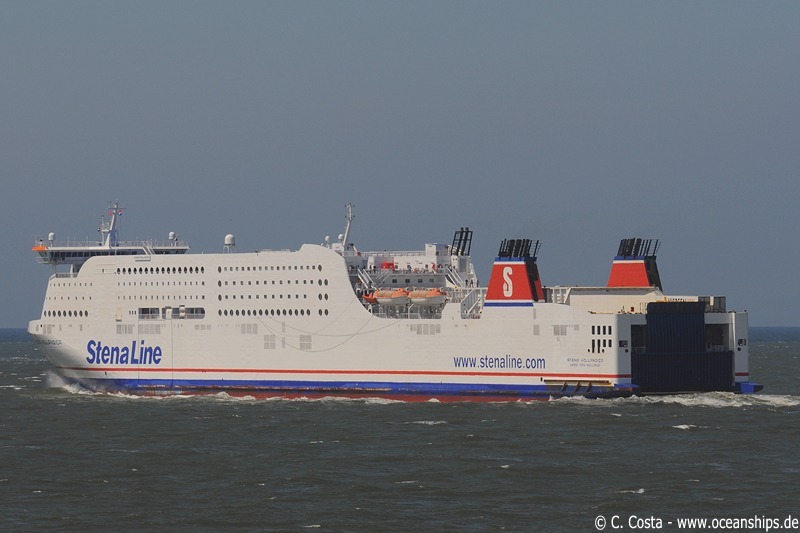 Stena Hollandica is leaving Hoek van Holland on May 29th, 2009 on her way to Harwich. 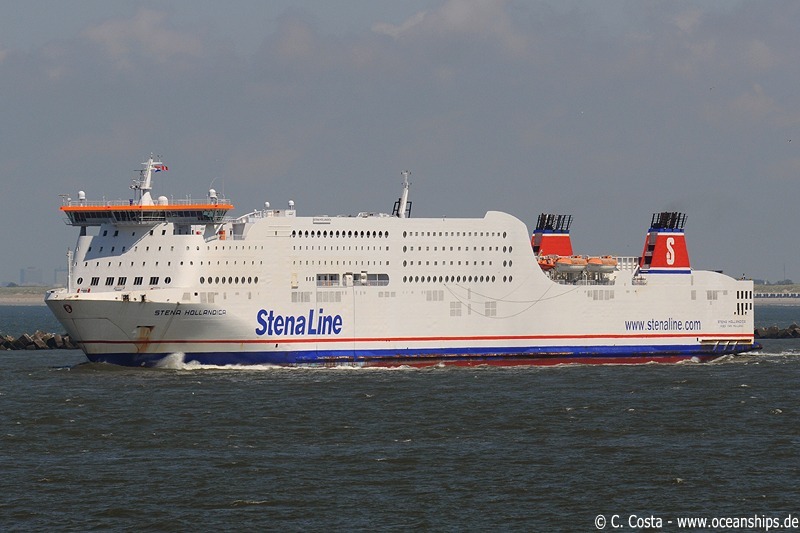 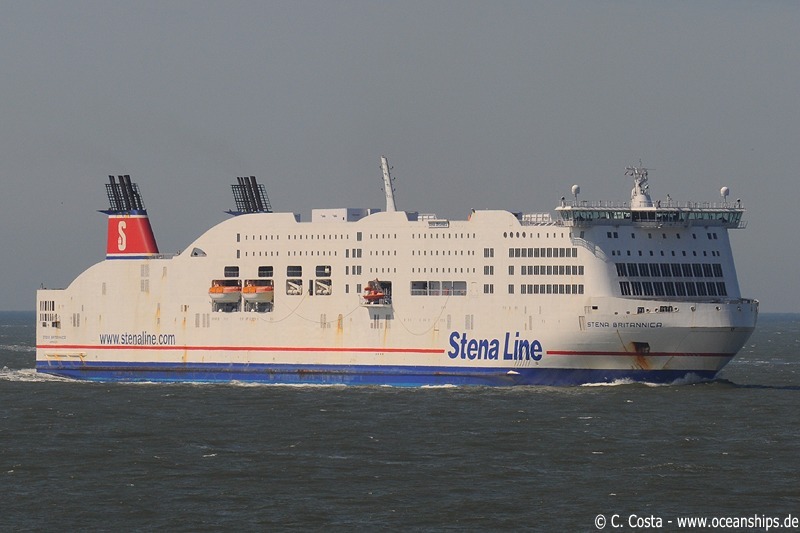 Stena Britannica is arriving in Hoek van Holland on May 29th, 2009. 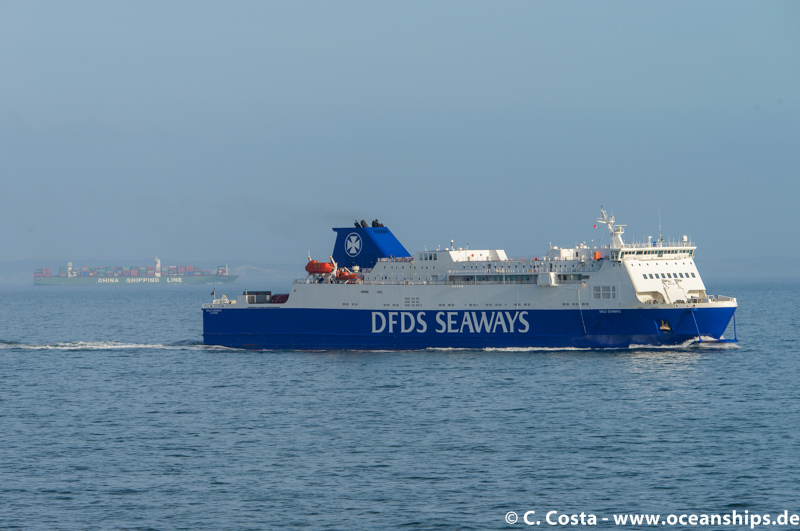 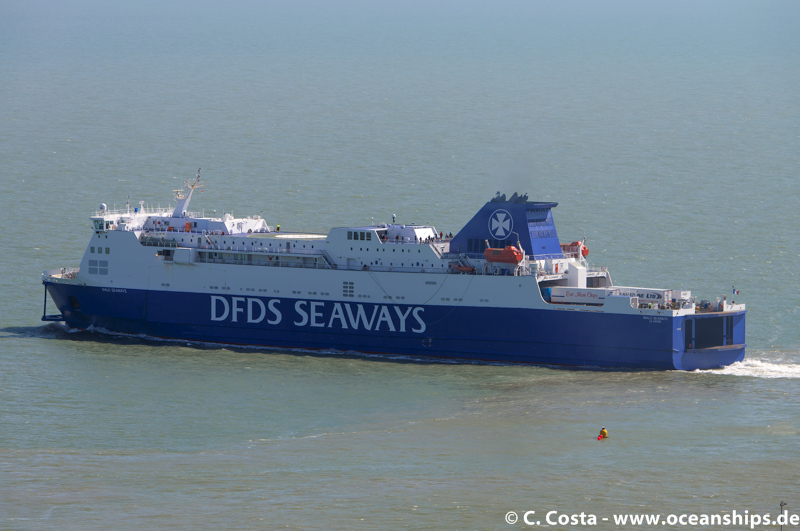 Malo Seaways is crossing the Strait of Dover between Calais and Dover on May 10th, 2015. 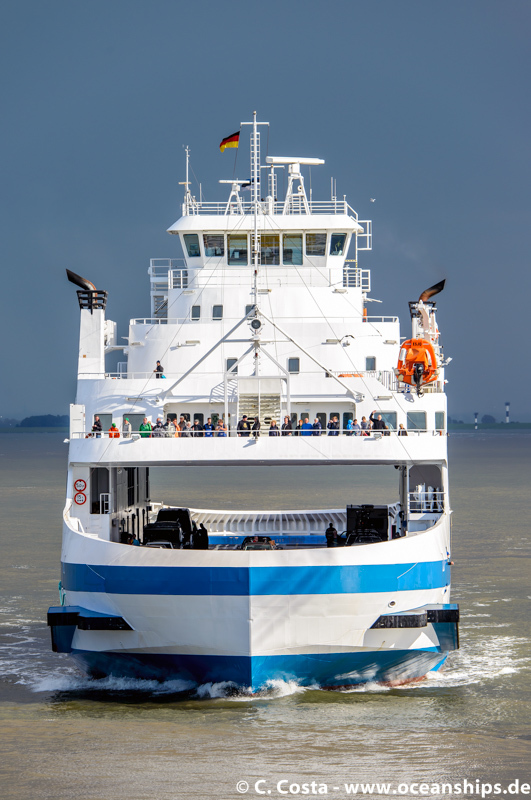 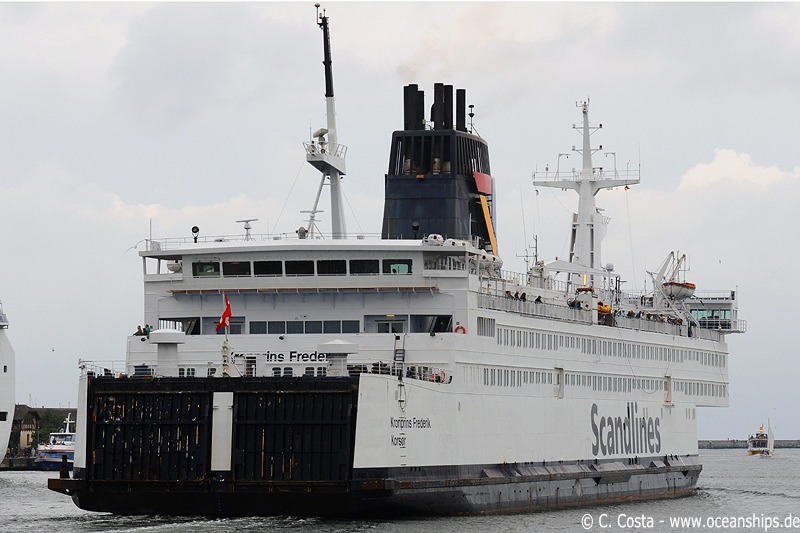 Saaremaa is arriving in Cuxhaven from Brunsbüttel on September 02nd, 2015 shortly after a strong rain shower. 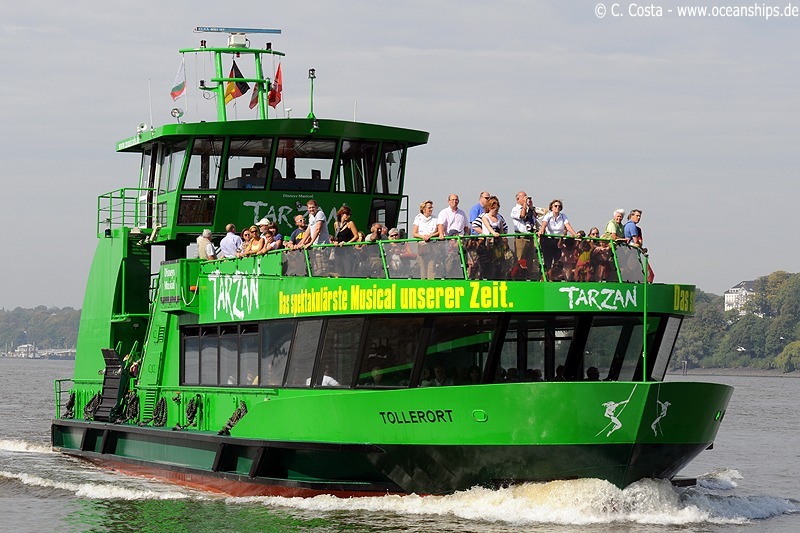 Harbor ferry Tollerort is operating in the port of Hamburg on Septmeber 9th, 2009. 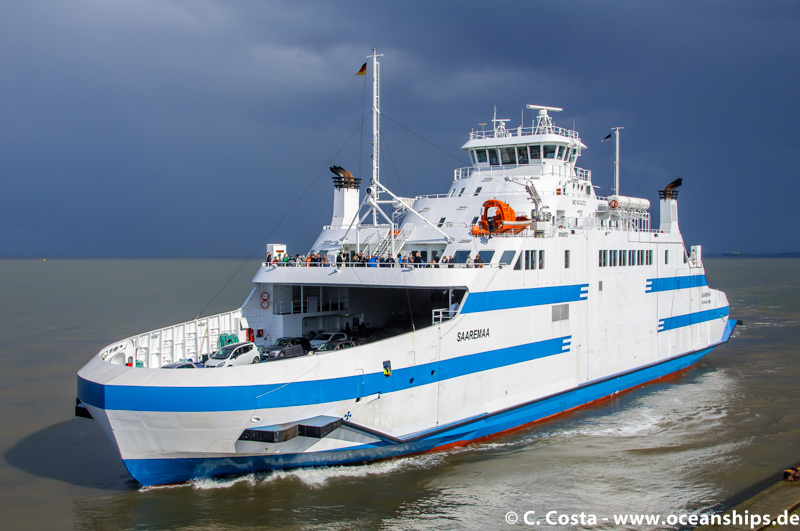 Kronprins Frederik is arriving in Warnemünde from Gedser on August 18th, 2010. 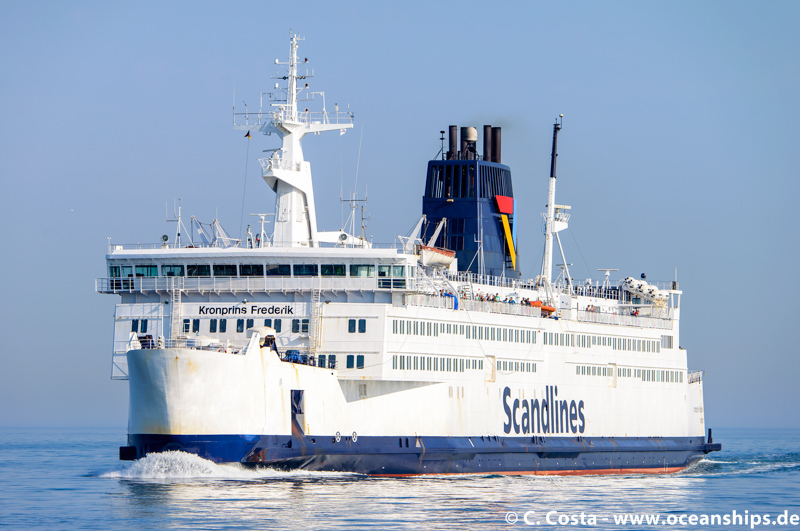 Kronprins Frederik is leaving Warnemünde bound for Gedser on August 18th, 2010. 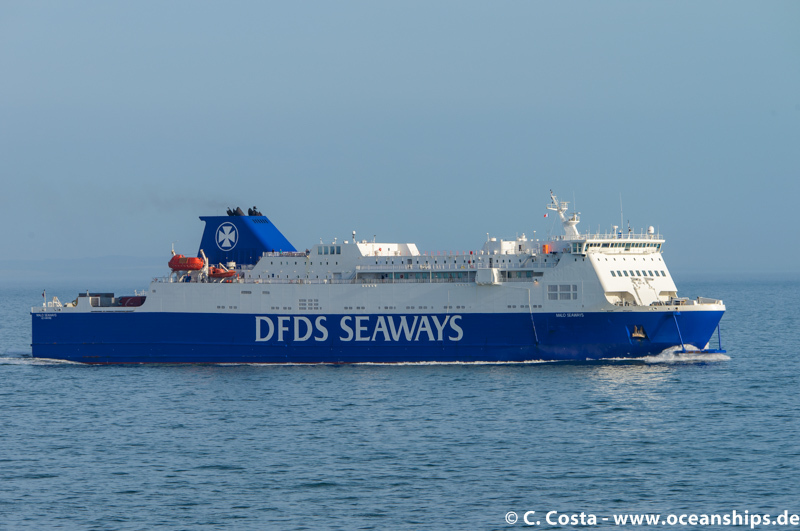 Kronprins Frederik is heading towards Rostock-Warnemünde on September 23rd, 2011. 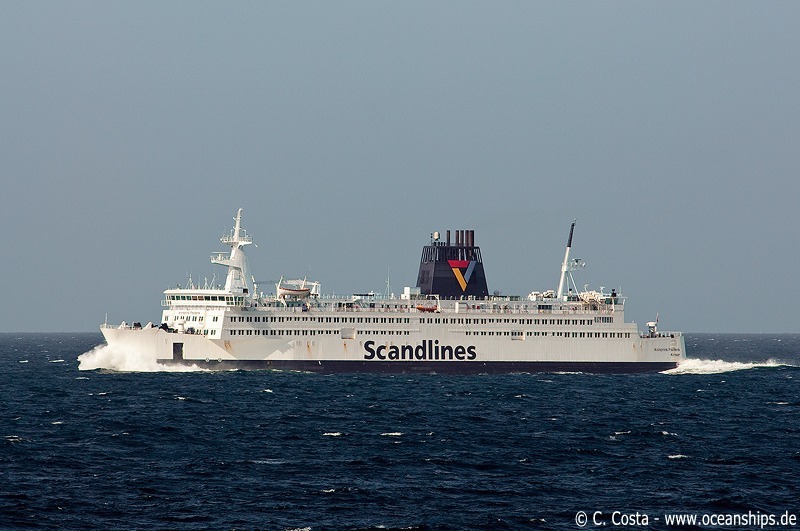 Kronprins Frederik is heading towards Gedser on September 23rd, 2011. 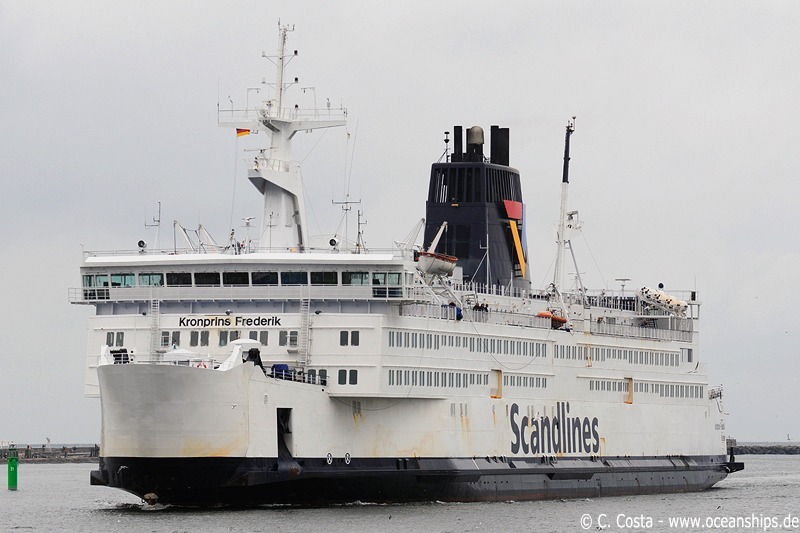 Kronprins Frederik is arriving in Warnemünde from Gedser on July 05th, 2015. 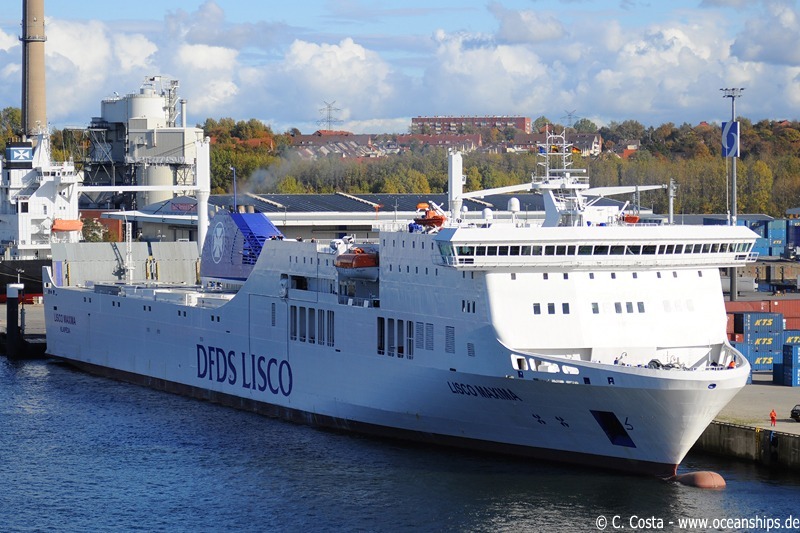 Lisco Maxima is leaving Kiel for Klaipeda on October 18th, 2009. 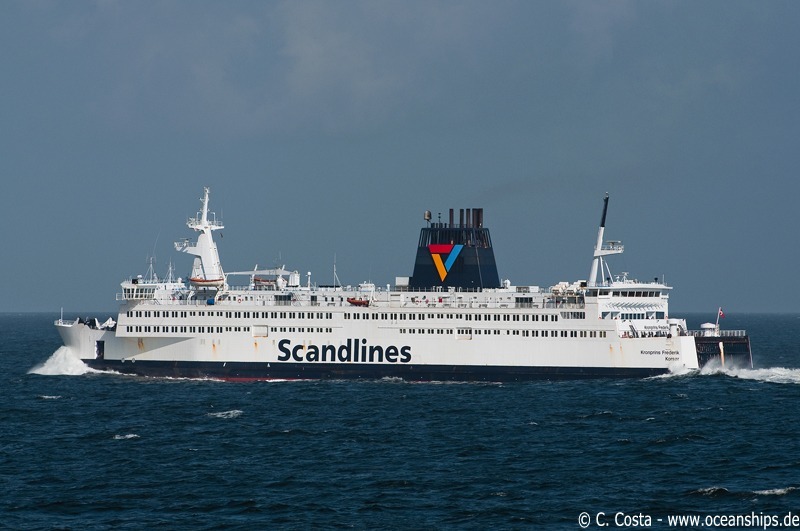 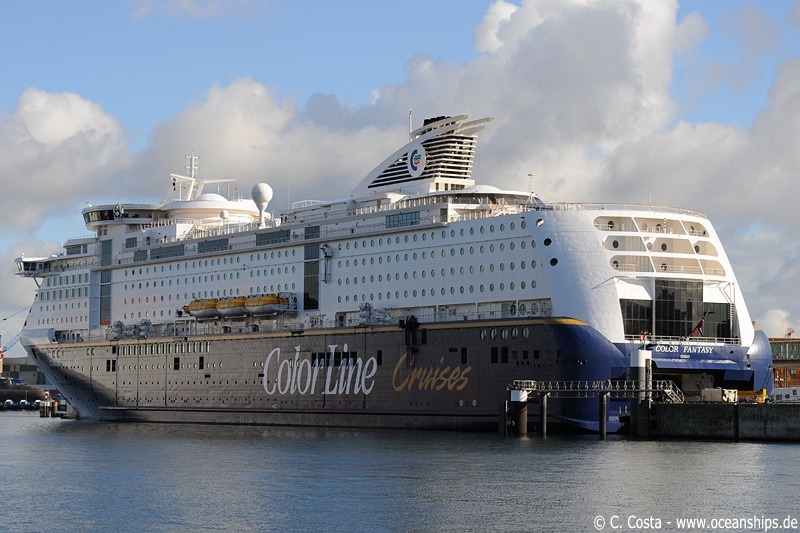 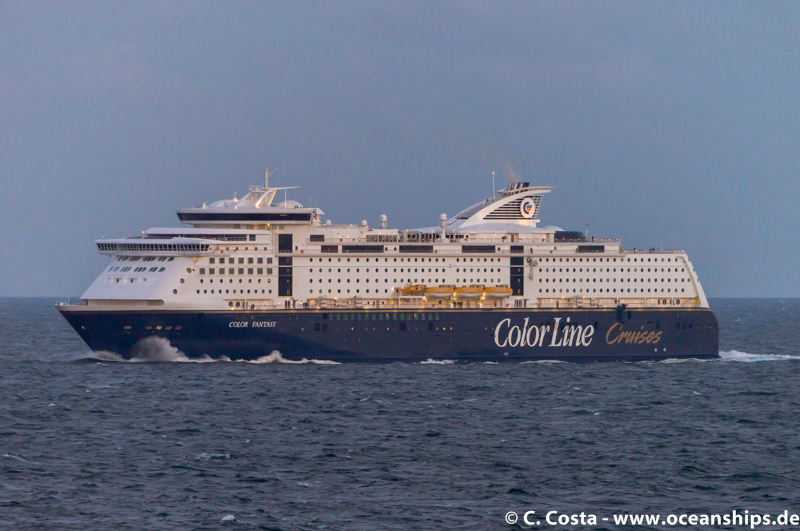 Cruise ferry Color Fantasy is crossing the Kattegat in the evening of June 03rd, 2015 during her regular trip from Kiel to Oslo. 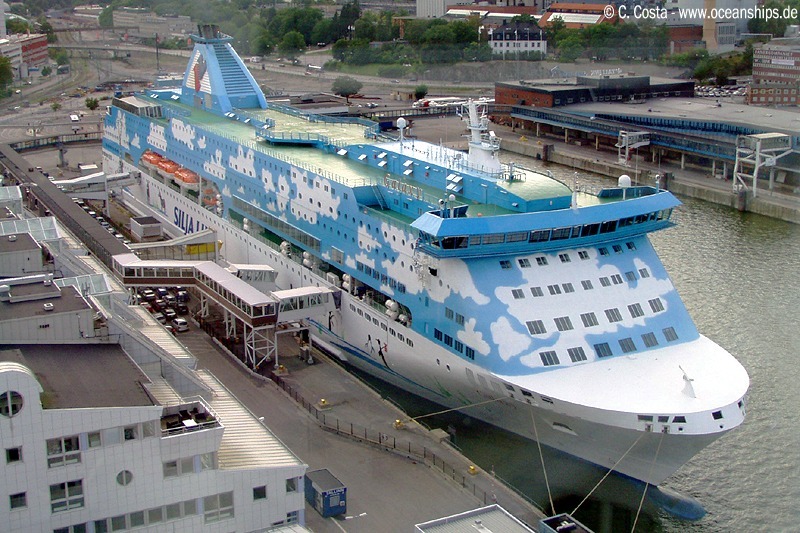 Cruise ferry Color Fantasy is moored at Kiel Norwegenkai on October 18th, 2009. 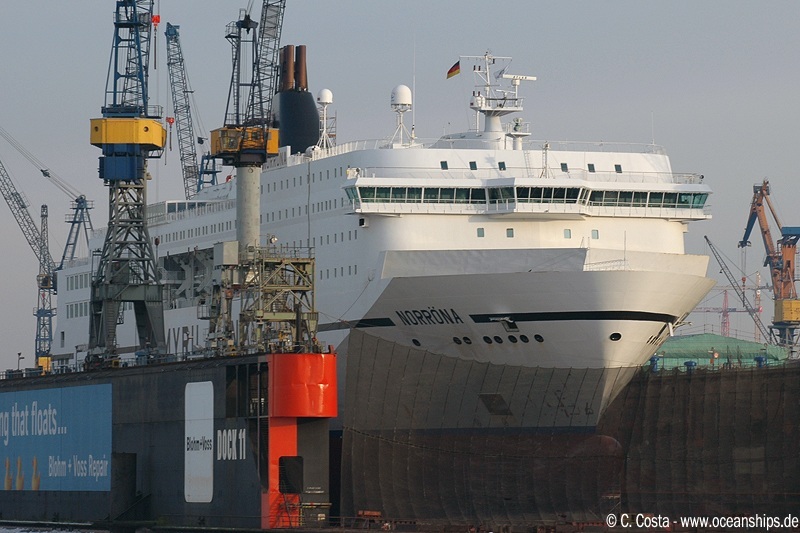 Norröna is docked at Blohm & Voss, Hamburg for maintenance and repair of her stabilizers on January 11th, 2009. 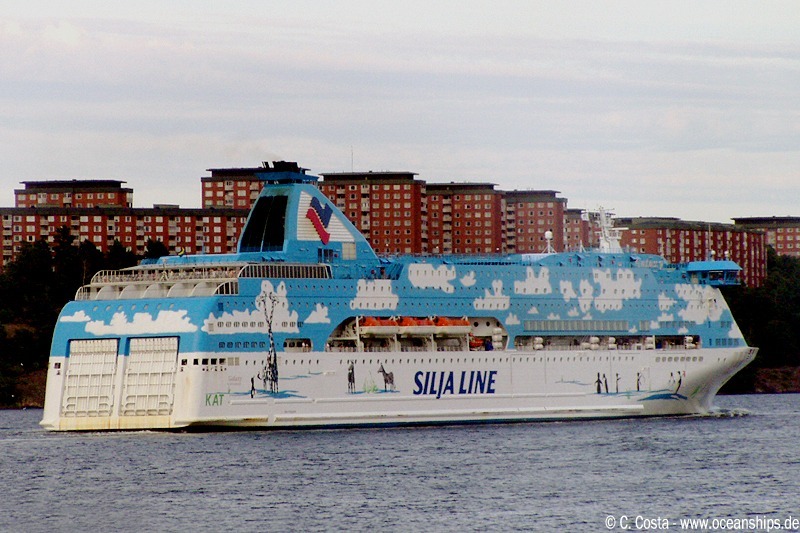 Cruise ferry Galaxy is moored in Stockholm on July 30th, 2009.